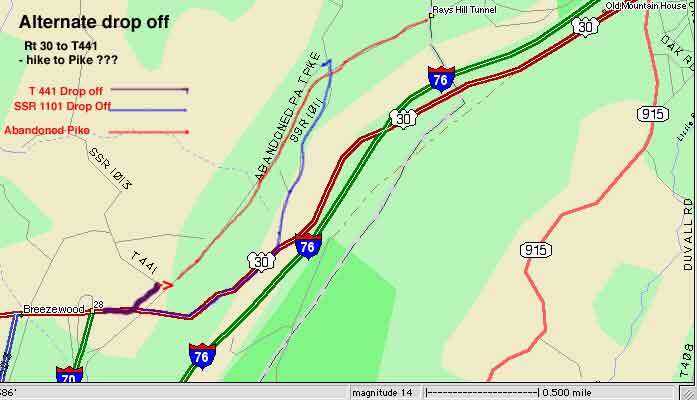 We will be "doing" the Ray's Hill -Sideling Hill Tunnel sections on July 23, 2002. I am sure that I mentioned that I am handicapped. Specifically, I can not walk any distances. In 1999 my sons and a variety of their wives/girl friends and I walked to the Laurel Hill Tunnel. Although I obviously made it. The trek was very hard on me. I am driven to do Ray's Hill -Sideling Hill Tunnel. I have, however, been riding a bicycle. I am confident that I will be able to make the trip, at least, one way. Thus I am considering that we be dropped off at the Oregon Camp. 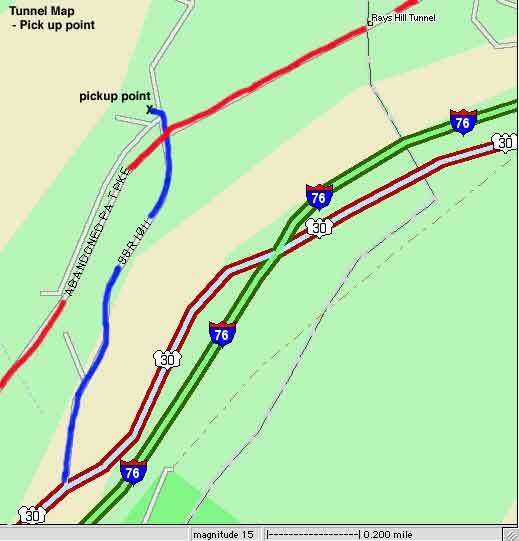 Go through the Sideling Hill Tunnel (East & West), then travel East to & through the Ray's Hill Tunnel to SSR 1101 to be picked up. If you have the time, please look at the following maps and give me your input. 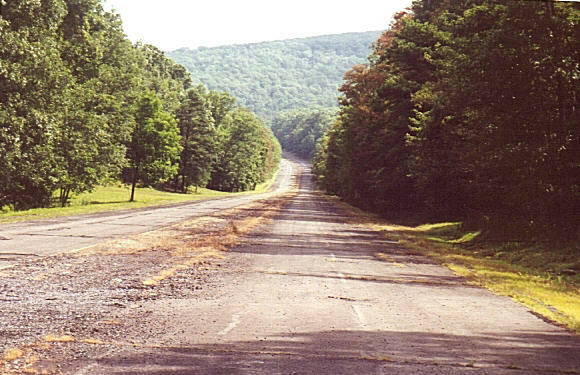 My biggest concern is the grade of the roadway. . the flatter the better. Looking at some of the pictures, especially The Western approach to Sideling Hill Tunnel concerns me. 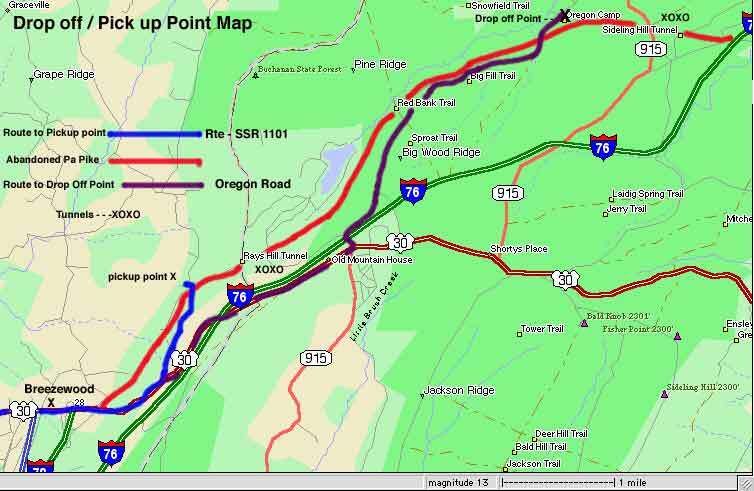 - then hike the short distance to the Pa Pike West of Ray's Hill. 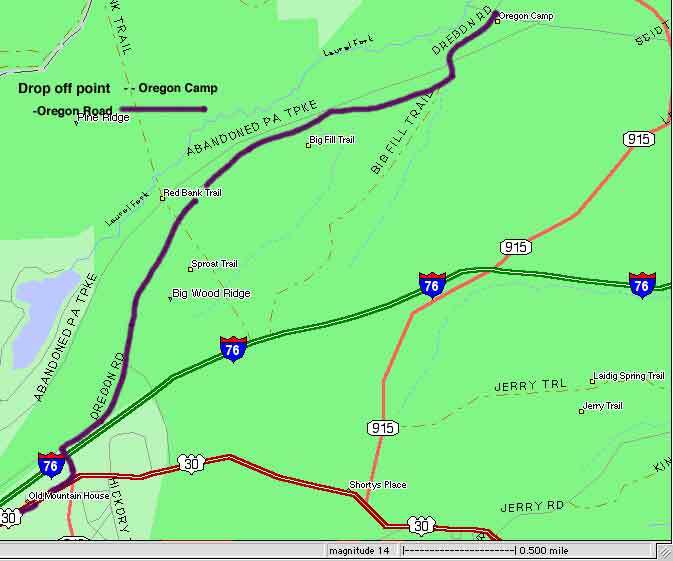 Ride through Ray's Hill past the Oregon Camp to Sideling Hill Tunnel. . . through the tunnel, then return to the Oregon Camp to be picked up. Again my biggest concern is the grade(s). If there is one direction which you think would be an easier ride, please let me know.